The Department of Physics, Atmospheric Sciences and Geoscience is rapidly growing and has a diverse range of active research areas which include optics and photonics, meteorological observations, modeling and forecasting; computational sciences, nano-technology, materials science, renewable energy, earth and space science, and science education. Teaching (modern teaching tools and methods) and Service (good working collaborations with other units and organizations and playing supporting roles towards local school systems and community college systems) are also key components of the program. Students graduate with adequate self-esteem and knowledge to take responsibilities imposed by society. PHY 151 (3) Introduction to Physics.An introduction to some of the basic concepts of physics, intended both for nonscience majors seeking scientific literacy and also for students who desire some experience in physics before taking PHY 201 or 11. This course satisfies the Core II physical science requirement. PHY 201, PHYL 201 (3, 1) Basic Physics I with Lab. Prerequisites: MATH 111 and 112, or MATH 118. Introduction to mechanics, wave motion, sound, and heat, for science majors whose curricula may not include calculus. Weekly lab experiments are performed in the areas covered by the lecture course. PHY 202, PHYL 202 (3, 1) Basic Physics II with Lab. Prerequisite: PHY 201. A continuation of PHY 201. Introduction to electricity, magnetism, optics, and modern physics. Weekly lab experiments reinforce the material covered in the lecture course. PHY 211, PHYL 211 (4, 1) General Physics I with Lab. Prerequisite: MATH 231. Introduction to mechanics, wave motion, sound, and heat. Calculus-based and more intensive than PHY 201. Weekly lab experiments reinforce the material covered in the lecture course. PHY 212, PHYL 212 (4, 1) General Physics II with Lab. Prerequisites: PHY 211, MATH 232. A calculus-based continuation of PHY 211. Introduction to electricity, magnetism, optics, and modern physics. Weekly lab experiments reinforce the material covered in the lecture course. For more information, physics majors should view the undergraduate physics program information here. PHY 198, 199, 298, 299, 398, 399, 498, 499 (.5 each) Physics Seminar.Presentation and discussion of current physics topics and research by students, faculty and visiting speakers. All physics majors are expected to participate. PHY 216 (3) Modern Physics. Prerequisite: PHY 212. An introduction to relativity and quantum effects including atomic structure and spectra, nuclear structure and reactions, and highenergy physics. PHY 241 (4) Introduction to Astronomy. An introductory survey of the solar system, stars, nebulae, and galaxies, with discussion of cosmology, life in the universe, and the space program. Includes weekly observatory sessions. This course satisfies the Core II physical science requirement. PHY 242 (4) Life in the Universe. An examination of the conditions necessary for the existence of life in the universe and of the possibilities for the detection of such life and for communication with intelligent life. Relevant basic astronomy is included. PHY 251 (4) Cosmology for Non-Scientists. A study of the structure, origin, and evolution of the universe. Includes relevant basic astronomy and discussion of fundamental observations. PHY 261 (2) Atrophotography. An introduction to photographic principles and basic observational techniques in astronomy. Emphasis is on information for the amateur, but professional observations are also discussed. PHY 311 (3) Theoretical Mechanics I. Prerequisites: PHY 211, and MATH 232. A modern treatment of classical mechanics including single-particle dynamics, oscillations, gravitation, the calculus of variations. Lagrangian and Hamiltonian dynamics, and central-force motion. PHY 312 (3) Theoretical Mechanics II. Prerequisite: PHY 311. A continuation of PHY 311 including study of systems of particles, noninertial reference frames, rigid-body dynamics, coupled oscillations, continuous systems, the wave equation, and the special theory of relativity. PHY 328 (4) Digital Electronics for Scientists. Prerequisite: PHY 212. An introduction to digital electronics and microcomputers including digital logic, programming and interfacing microcomputers , and applications of microcomputers to projects of interest to the physical scientist. PHY 329 (4) Analog Electronics for Scientists. Prerequisite: PHY 212. An introduction to analog electronics including DC and AC circuit analysis, source transformations, semiconductor devices, mathematical models of semiconductor devices, and a survey of the use of modern linear integrated circuits in applications of interest to the advanced physical science student. PHY 330W (3) Methods of Experimental Physics I. Prerequisite or Corequisite: PHY 216. Primarily a laboratory course, comprised of lectures and advanced experiments in electronics, optics, modern physics, and astronomy. Satisfies writing across the curriculum requirements. PHY 342 (3) Optics. Prerequisite: PHY 216. A lecture course in modern optics covering geometrical, wave, and quantum optics, and modern optical technology, with applications to atomic spectroscopy and lasers. PHY 351 (3) Thermodynamics and Statistical Physics. Prerequisite: PHY 212. A study of equations of state, the laws of thermodynamics, thermodynamic potentials, statistical thermodynamics, kinetic theory, and elementary statistical mechanics. PHY 361 (3) Mathematical Methods of Physics and Chemistry I. Prerequisite: PHY 212. An introduction to advanced techniques of applied mathematics used in physics and chemistry, including applied linear algebra, ordinary differential equations, and Laplace’s equation. PHY 362 (3) Mathematical Methods of Physics and Chemistry II. Prerequisite: PHY 361. A continuation of PHY 361, including vector calculus, Fourier series and orthogonal expansions, Fourier integrals, complex variables and conformal mappings, complex integration, and the heat and wave equations. PHY 381 (1-6) Independent Study. Prerequisite: Approval of instructor. Investigation of a topic selected by the student in consultation with the faculty, this course may be repeated for credit. PHY 401S (3) Physics for Secondary Teachers. Prerequisite: PHY 212. Examination of various text and laboratory materials which are available for high school physics courses. Discussion of the goals of the high school physics course and consideration of some of the difficulties which are likely to be encountered. PHY 410 (3) History of Physics. Prerequisite: PHY 216. Survey of the historical development of physics based on the study of classical papers and scholarly works. PHY 411 (3) Electromagnetic Theory I. Prerequisite: PHY 362. A study of static electric and magnetic fields including Gauss’ Law, Ampere’s Law, and the solution of Laplace’s equation. PHY 412 (3) Electromagnetic Theory II. Prerequisite: PHY 411. A continuation of PHY 411 including study of timedependent fields, Maxell’s equations, electromagnetic wave and radiation. PHY 422 (3) Quantum Mechanics. Prerequisites: PHY 216 and 362. An introduction to quantum mechanics wave functions, and the Schrodinger equation, including solution of the Schrodinger equation for a box, barrier, square well, harmonic oscillator, and the hydrogen atom. PHY 430W (3) Methods of Experimental Physics II. Prerequisite: PHY 330. A continuation of PHY 330. Selected advance experiments in electronics, optics, modern physical and astronomy. Satisfies writing across the curriculum requirement. PHY 431 (3) Atomic and Nuclear Physics. Prerequisite: PHY 422. A lecture course comprising a study of the properties of atoms and nuclei, and review of classic experiments, and an investigation of related applications of quantum mechanics. PHY 433 (3) Solid State Physics. Prerequisites: PHY 216 and 422. An introduction to solid state physics including crystal structures, electron and mechanical waves in crystals, semiconductors, electric and magnetic properties of solids, and point defects in crystals. PHY 441 (4) Solar System Astronomy. Prerequisite: PHY 212. An introduction to the solar system intended for mathematics and science majors and including the physics and chemistry of the sun, planets, moons, comets, and the interplanetary medium, life on other planets and artificial satellites. PHY 442 (4) Stellar and Galactic Astronomy. Prerequisite: PHY 212. An introduction to stellar and galactic astronomy intended for mathematics and science major and including the physics and chemistry of the stars and the interstellar medium, star and galaxy formation, and basic cosmology. PHY 449 (3) Special Topics in Physics. Prerequisite: Approval of instructor. Advanced specialized topic courses selected on the basis of faculty and student interest. This course may be repeated for credit. PHY 461 (3) Computational Physics. Prerequisite: PHY 362. A study of numerical and computational techniques for solving physical problems including using analytical and physical theory to simplify and approximate, writing algorithms and programs, and using commercial and other available software. PHY 480 (1-6) Research Project. Prerequisite: Approval of instructor. Supervised original research by the individual student on a problem selected in consultation with the faculty. This course may be repeated for credit. For more information, undergraduate atmospheric science students should view the undergraduate atmospheric science program information here. MET 199-499 (4) Seminar in Atmospheric Science. Various topics will be discussed and presented by students, faculty, and visitors. All meteorology majors are expected to enroll in the appropriate course numbers as assigned by their advisors. MET 200 (3) Introduction to Meteorology. Nonmathematical treatment of the fundamentals of meteorology, effects of weather and climate on man and his activities. MET 202 (3) Meteorological Measurements. Prerequisite: MET 200. Theory, techniques and use of conventional meteorological instruments. MET 209 (1) Introduction to Professional Meteorology. Preor Co-requisite: MET 200. A seminar course in which a variety of professional specialties within the area of the atmospheric sciences will be explored by the students. Wherever possible, visiting professionals will be invited to present materials about their specialty in the meteorology curriculum. MET 303 (3) Weather Observation. Prerequisite: MET 200. Practical experiences in weather observing, gathering and coding meteorological data. MET 311 (3) General Meteorology. Pre- or Co-requisite: MATH 231. Terrestrial energy budget; general circulation; atmospheric motion, fronts and cyclones, mesoscale dynamics, application to weather forecasting and modifications. MET 321 (3) Atmospheric Thermodynamics. Prerequisite: MET 311. Thermodynamic properties of the atmosphere, hydrostatic equilibrium and stability. MET 341 (3) Dynamic Meteorology. Prerequisites: MET 311, 321, and MATH 232. Physical and Mathematical models of atmospheric motion are developed from the basic equations of motion. MET 411 (3) Physical Meteorology. Prerequisites: MET 311, and 321. Transmission of electromagnetic and sound waves in the atmosphere; the physics of clouds and precipitation; electrical properties of the atmosphere. MET 422 (3) Introduction to Synoptic Meteorology. Prerequisites: MET 311, and 341. Composition of and physical processes in the atmosphere; weather elements and their spatial distribution; air masses, fronts, and weather forecasting. For more information, undergraduate geoscience students should view the undergraduate geoscience program information here. SCI 201 (3) Physical Science. A study of the universe and natural events in the environment. SCI 202 (3) Physical Science. A study of the changes in matter and energy which leads to the utilization of energy and material resources for man’s benefit. SCI 204 (3) General Science for Teachers. Topics in astronomy, biology, chemistry, geology and physics are studied. Laboratory work provides for experiments and projects. SCI 205 (3) Earth and Space Science. A geophysical study o the earth with emphasis on the major scientific discoveries about the earth and its relation to the universe. SCI 206 (3) Elementary Geology. The course is designed to give a basic understanding of the origin and classification of rocks and materials in the geologic process that alter the earth’s surface. SCI 228 (3) Science Technology and Environment. An overview of contemporary topics in science technology and environment. SCI 312 (3) Innovative Approaches in Science Teaching. This course is designed to introduce pre-service science teachers to new and alternative instructional materials for science teaching. Emphasis is placed on analyzing, comparing, and contrasting these materials with implications for science teaching. SCI 410E (3) Science for Children. Prerequisite: Junior standing. Designed to familiarize students with materials, techniques and unifying principles of science with laboratory exercises emphasized. SCI 401S (3) Science in the Secondary School. Prerequisite: Junior standing. Consideration is given to helping the student organize curriculum materials and gain proficiency in presenting science to high school students. SCI 403 (3) Seminar in Science. Prerequisite: Senior standing. Provides an opportunity for the student to discuss the most pertinent trends in the fields of science. For more information, graduate physics students should view the graduate physics program information here. SCI 502 (3) General Science for Teachers. A study of topics in astronomy, chemistry, geology, meteorology and physics. SCI 507 (3) Earth Science.An exploratory course dealing with basic concepts in geology, meteorology, and astronomy. SCIL 507 (1) Earth Science for Teachers Lab. Laboratory experiments designed to expand subject matter taught in SCi 507. SCI 508 (3) Cosmology for Non-Scientists. A study of the structure, makeup origin, and evolution of the universe and objects in it. SCI 509 (3) Earth History. The course studies history of the continents and oceans and the changes to the atmosphere through time. SCI 513 (3) Computer Applications in the Teaching of Science. This course includes computer concepts; programming in the Basic language; building modules for computer assisted instruction and computer aided instruction; problem solving on a microcomputer system. SCI 515 (3) Earth and Space Science. This course is the study of Earth Science, Geology, and Meteorology. SCI 516 (3) Physical Science I for Middle School Teachers. This course is the study of properties and reactions of matter. SCI 517 (3) Physical Science II for Middle School Teachers. This course is the study of Physics, Astronomy and Technology that includes: (in Physics) measurment, force, motion, energy, simple and compound machines, electricity and magnetism, sound, light and heat; (in Astronomy) stars in the night sky, solar system, lunar phases, eclipses, earth seasons, galaxies and universe. SCI 518 (3) Life Science for Teachers. This course is the study of biochemistry, the cell, genetics, organ systems, natural selection, diversity, ecology and the property and reaction of matter. SCI 519 (3) Environmental Science and Chemistry for Teachers. SCI 520 (3) Methodology for Science Teaching. This course includes exemplary teaching strategies and research-based methods, i.e. Inquiry based learning, cooperative learning, and the use of technology. SCI 522 (3) Environmental Science. A general study of environmental problems created by various kinds of pollution and the effects of man's biophysical environment. SCI 523 (3) Seminar in Science. Provides the opportunity to discuss the most pertinent trends in science and to become familiar with current research. SCI 524 (3) Elements of Astronomy. Survey of solar and stellar systems, with emphasis on the historical and scientific development of astronomy. SCI 525 (3) Hands-on Activity in Astronomy. 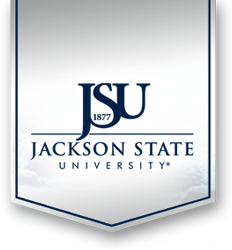 This course is support for instructional competency in astronomy in Mississippi. SCI 551 (3) Hands-on Universe in Mississippi I. This course integrates mathematics, science and technology in the context of exciting astronomical explorations. This course addresses many of the goals set by the National Council of Teachers of Mathematics and the National Research Council for Math and Science Education. SCI 563 (3) Problems and Issues in Science. Content in elementary science; aims and methods of instruction, new curricular developments. SCI 581 (3) Operation Physics I. This course is the study of mechanics that includes: measurement, force and motion, simple machines and forces, and fluids. SCI 552 (3) Hands-on Universe in Mississippi II. Prerequisite: SCI 551. This course integrates mathematics, science and technology in the context of exciting astronomical explorations. This course addresses many of the goals set by the National Council of Teachers of Mathematics and the National Research Council for Math and Science Education. SCI 580 (3) Science Technology and Environment. An overview of contemporary topics in science and technology. The scientific and technical materials will be covered in detail, then the social consequences of applying or misapplying that knowledge will be examined. SCI 582 (3) Operation Physics II. This course is the study of sound and light that include: measurement, sound, behavior of light, color and vision. SCI 583 (3) Operation Physics III. This course is the study of electricity and magnetism that include: measurement, electricity, magnets, and magnetism. SCI 584 (3) Operation Physics IV. This Course is the study of modern physics that include: measurement, structure of matter, atoms, molecules, nuclei, elementary particles, and special and general relativity. SCI 587 (1-3) Independent Study. For students who are actively working on special projects and consulting with their major professor. SCI 592-592W (3) Seminar in Meteorology. Presentation and discussion of special topics and research in meteorology by staff members, students and guest lecturers. SCI 599 (6) Thesis. A minimum of 40 hours of research for the thesis must be scheduled. The thesis must show (a) mastery of the techniques of research, and (b) a very distinct contribution to the field under investigation and study. SCI 601W (3) Seminar in Environmental Science. Advanced topics of special interest, current research, field trips, demonstrations and guest lecturers. SCI 602 (3) Construction of Teaching Materials for Secondary Science Instruction.Special work in models, charts, graphs, photography, electrical apparatus, mechanical equipment, etc. SCI 603 (3) Special Topics in Science. Topics of current interest, both theoretical and experimental. SCI 604 (3) Advanced Methods—Secondary School Science. Experience with science teaching. Major trends in the new science courses and methodology programs. SCI 605 (3) Analysis of Science Curriculum. A critical examination of contemporary and potential science curricular projects.